Marie is an established artist who paints with oils and watercolours and creates hand-painted porcelain dolls. 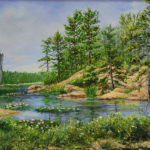 She developed her talents under the guidance of several local and nationally renowned artists. 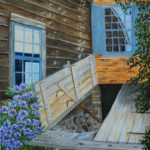 Historic buildings and landsapes have attracted her artist’s eye. 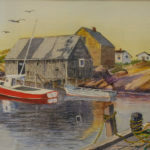 She enjoys painting old mills, timber frame barns, houses with character and lighthouses that she has seen in her travels through Britain, Europe, Australia and New Zealand. 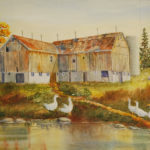 Marie’s art and doll studio is located in eastern Chatham-Kent.